For most people, hair loss doesn’t involve waking up one day with massive chunks of hair having fallen out overnight. It’s easy for most hair loss to go unnoticed. Every human being sheds a few strands of hair every day, so unless you’re counting them, it’s easy to miss hair loss until it becomes more evident over time. The medical term ‘alopecia’ is used to describe varying levels of hair loss, ranging from a few strands to a ponytail’s worth of locks. There’s are many possible causes for alopecia, so it’s important to visit a Brisbane dermatologist for an accurate diagnosis. The reason could be anything from genetic make-up to a medical condition, which translates to a specific type of hair loss. In this article, we’ll look at a few forms of alopecia and explore treatment options that can help you live with it. If you’ve received a dreaded androgenic alopecia diagnosis (or any other, for that matter), you should know that there are ways to treat and manage the symptoms! 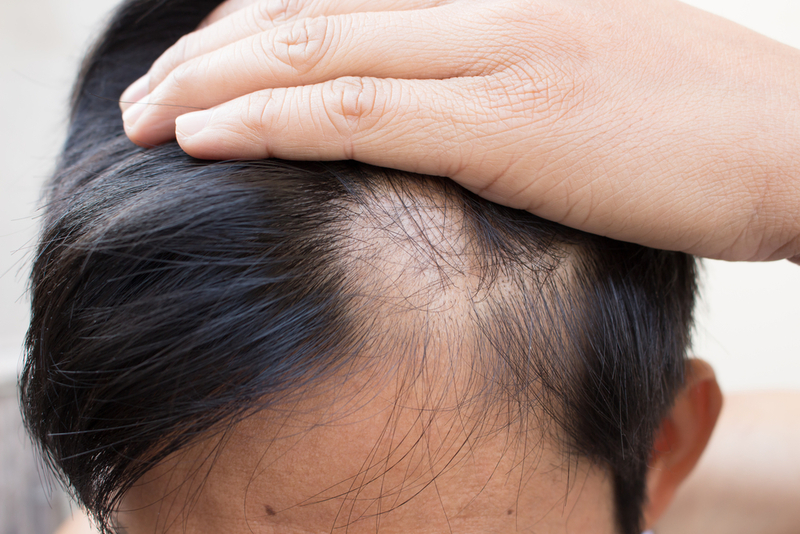 Androgenic alopecia can be caused by an array of factors and is experienced by both men and women. It begins with the hair thinning from the temples into the crown of the head; which eventually forms a receding hairline that resembles a sports stadium. Depending on the extent, the U-shaped remaining hair along the sides and back of the head will either stay put or continue to shed slowly until the hair loss is more pronounced. There have been hundreds of hairstyles (and variations of them) that have trended over the last few centuries. Many of them – including ponytails, braids and updos – require chemical treatment, tight pulling and the application of heat. As one can imagine, all of this activity can become too much for any scalp to bare. 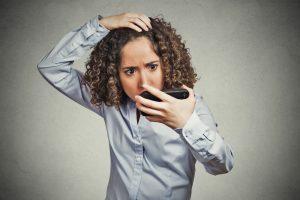 This can result in traction alopecia, which causes pain, flaking, inflammation and blisters on the scalp, as well as hair loss that can become permanent if it goes untreated. The cause of this type of alopecia is yet to be determined, but alopecia areata occurs when the immune system turns on the hair follicles and destroys them. It’s an unpleasant experience that sees patients losing patches of hair at intervals. Sometimes the hair grows back, but with another bunch of hair being lost elsewhere else on the scalp. When it comes to hair loss treatment, there is no “one size fits all” situation, which is why you should visit a hair loss clinic that offers a variety of solutions. The Tango Hair Loss Clinic is like this, and every Gold Coast patient that walks through our doors is examined thoroughly so that we only recommend the best possible solution for them. Our treatment options include growth stimulating medications and prescription supplements that renew hair growth in the affected area, as well as corticosteroid injections, immunotherapy and ultraviolet light therapy to help regenerate hair follicles. The duration of treatment courses will vary, based on the details of each case. While these treatments kick in (and for those who’d prefer a non-medical route), we offer custom fitted toupées, implants and wigs. The Tango Hair Loss Clinic team is dedicated to turning your hair loss woes into hair growth wins. Book an Appointment Now for top quality alopecia natural treatments in Brisbane.